Dr. Muffazal Lakdawala, is renowned Bariatric surgeon from India and founder of Digestive Health Institute, the first Indian Centre for Excellence in Bariatric Surgery. In 2017, he assumed presidency of the International Federation for the Surgery of Obesity and Metabolic Disorders (IFSO) - Asia Pacific chapter. 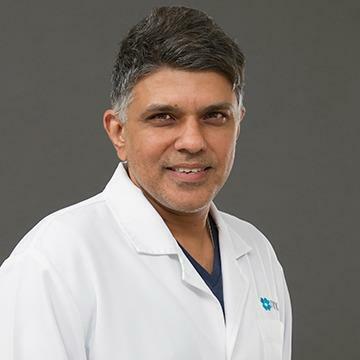 In his career of 15 years, Dr Lakdawala has conducted numerous surgeries, in India and abroad; a trained laparoscopic surgeon, he specializes in bariatric surgery and GI oncology surgery. He is known internationally for his pioneering work in the field of scar less bariatric surgery and is a keen researcher in the field of diabetes surgery. Dr Lakdawala is also very committed to mentoring and training younger surgeons and is a Professor at the Maharashtra University of Health Sciences. He regularly runs live surgery workshops and has been invited to conduct teaching workshops in Asian countries like Malaysia, Indonesia, Thailand, Vietnam, Bangladesh, China, South Korea, Sri Lanka and Middle East. He has the highest number of publications in bariatric surgery in India to his credit and is regularly invited to be on prestigious committees worldwide. Vice President, Obesity Surgery Society of India (OSSI). Chairman, Position Statement Committee, International Federation of the Society of Obesity and Metabolic Disorders (IFSO). Board Member, AETF - Asian Endosurgery Task Force (AETF). Member, Asia Pacific Metabolic and Bariatric Surgery Society (APMBSS). Director, Asian Consensus Meeting on Metabolic Surgery (ACMOMS). Head, Dept. of Minimal Access and Bariatric Surgery, Saifee Hospital, Mumbai. Head, Expert Advisory Board for the Men’s Health Magazine. Awarded 'Humanitarian of the year' by the All India Human Rights Association in 2007. Silver Medal at Shirin Mehtaji Oration for ‘Obstructive Jaundice’ in 1996. Awarded Gold Medal - Anatomy in MBBS.